WM Ironwork Ltd have been manufacturing quality steelwork in North Devon for more than 30 years. Their work is found across the UK, throughout Europe, the Far and Middle East, even the Falkland Islands. Clients for their decorative steelwork include Local Authorities, construction and utility companies, whilst their industrial output benefits a diverse array of businesses. 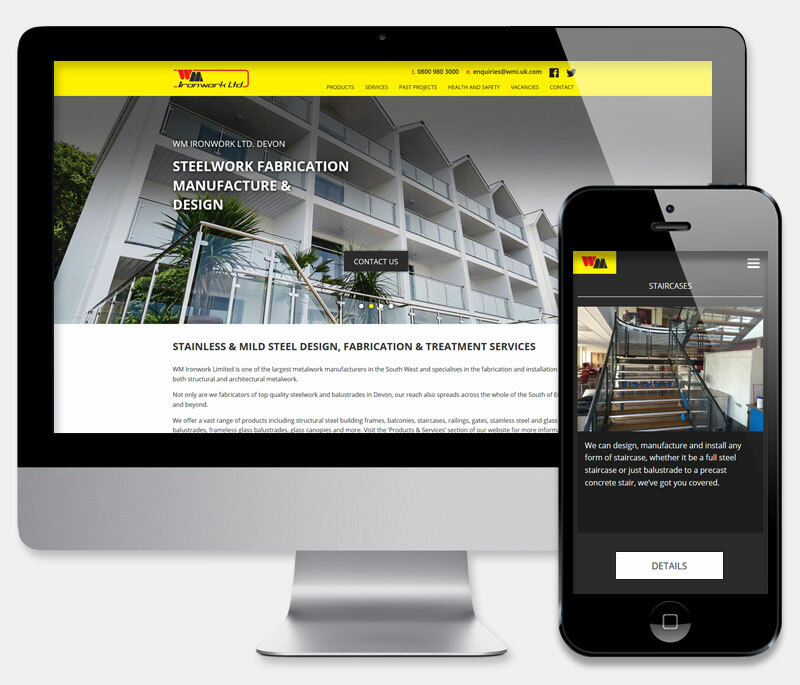 WMI's existing Flash based website required upgrading, with a completey fresh design and a move to a Drupal CMS. We supplied a custom Drupal website, which allowed the client free-reign to edit and manage their content as they wished. The site contains galleries, slideshows, vacancies information and geo-located supplier pages. We developed a fully responsible theme which adapts to any type of device and screen. Over the years Website Developments have created several websites for us, each one using the most up to date website technology available, these have always been well received by our clients, and greatly helps promote our company throughout the UK and indeed worldwide, enabling us to get orders from places as far away as Australia, Canada etc. etc. (not bad for a company from the depths of the North Devon countryside!). We would Recommend the folks at Website Developments to anyone who needs a new or an upgrade to their existing website.